"A gripping murder mystery, with a compelling family drama at its heart. Secrets never meant to be revealed." The Lake is gripping in an understated sort of way; I knew there is a mystery that needed unraveling and I knew what that mystery was but that was where the clues ended. The interactions between the characters kept me interested but it was not until the shocking outcome was revealed that I realised I had travelled from A to B without even knowing how I had gotten there. This is not the sort of murder mystery where you are constantly watching for clues that the author might choose to drip feed you. Instead, you get totally caught up in the lives and dramas of the Casey family and the mystery body and the murder investigation takes second place to the lives of the people of Crumm. 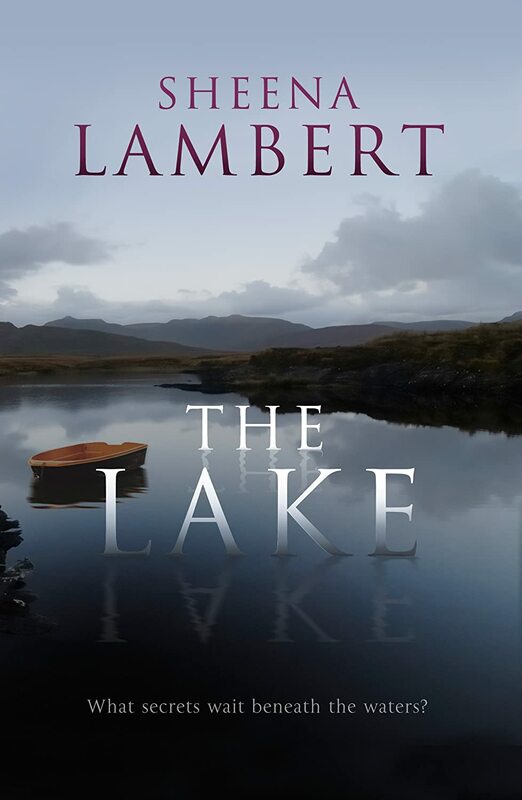 Lambert portrays rural Ireland well and I felt like I had been in the pub with Peggy and her three older siblings and taken a walk down to the lake with Detective Ryan myself. The Lake is only a short book but it is special. In the same way that Ireland grasps the hearts of those with Irish blood in their veins - you step off the plane and instantly feel like you're home and feel like you have never been away regardless of how long you are been gone - The Lake has that comforting feeling of familiarity. I didn't feel like I had to get to know the characters but felt immediately at home in their presence. It takes some special writing to pull off a novel set over the course of a long weekend and set almost entirely in the pub but Sheena Lambert manages it with complete and utter ease. I look forward to reading more of Sheena Lambert in the future! Thank you again to Margaret Madden of Bleach House Library for the chance to discover Sheena Lambert and a special thank you to Sheena Lambert for doubling the prize by sending me a copy of two of your books and then adding an extra sparkle of magic by signing them both!